With the increasing income level of the individuals, the need to invest the disposable money is on the rise too. 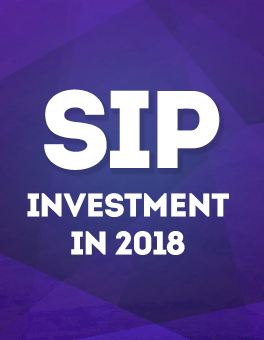 Many individuals are opting for SIPs as their monthly investment. 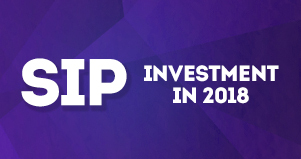 The ultimate goal of SIP is to invest and grow your money with fastest possible rate with lowest possible risks. This is certainly not easy to do and definitely need some expertise. To add a dual benefit to your SIP, you can opt for tax-saving ELSS mutual funds. Based on the past 5 years performance, below is the list for ideal equity mutual funds for people looking out for high ROI on SIPs. Once you select the desired funds you want to invest the money in, plan on the duration. After finalizing the basic things, you will have to pick your preferred fund site and proceed with the documentation process. You will need a few documents to get started with SIP. Documents like Pan Card, Address Proof, your Cheque book, Passport size photos are some of the required ones. For your address proof, you can submit your Driving license, Utility bills or Bank statement. You can opt for SIPs online once you have all the documents gathered. Personal details like your name, date of birth, address, and mobile number will be needed to get your KYC done. Once you register yourself on your preferred mutual fund website, you can enter all your personal details. Once you are done with these steps you can then start your SIP by filling the details and creating your username and password on the Fund website. As one has to pay a specific amount monthly towards SIP, the financial condition can get bit tight when there is an unplanned monetary need. The SIP amount will be automatically debited from your savings account. In case of financial crisis, you can opt for the online personal loan provider. Personal loan app lets you take a quick loan in case of any financial need, you can get instant money from online personal loan provider without stating any reason. All you need to do is register yourself on the app from your smartphone, enter the amount needed and the duration as per your requirement and submit the essential documents. The app takes some time to review your loan request. Once your request is approved, the loan amount is then transferred to your personal savings account. You can review your loan status on the app. Cashe, one of the online personal loan provider, lets you take loan ranging from ₹ 10,000 to ₹ 200,000 within the duration of 15 days, 30 days, 3 months and 9 months.